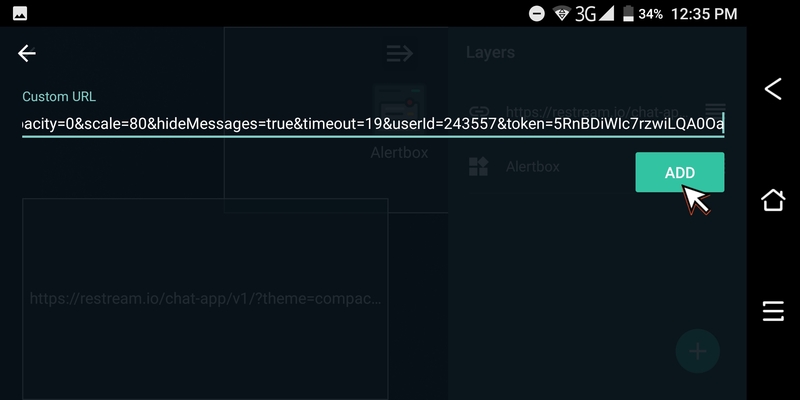 How to embed Restream Chat on mobile? In order to be able to add your embed chat on top of your mobile stream you will need to use Streamlabs for Android or iOS. 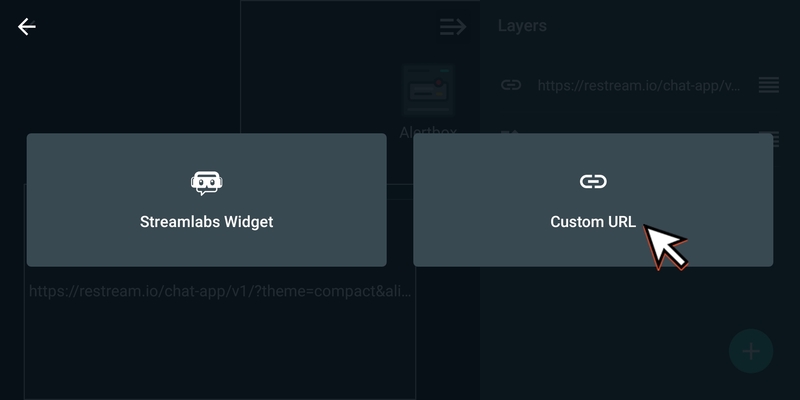 You will need to switch to Twitch or any other verified service in Streamlabs to be able to manage your widgets. 4. 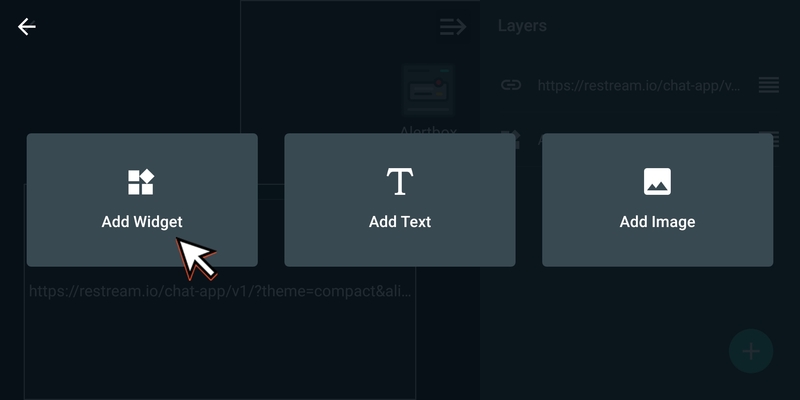 Select Custom URL option. 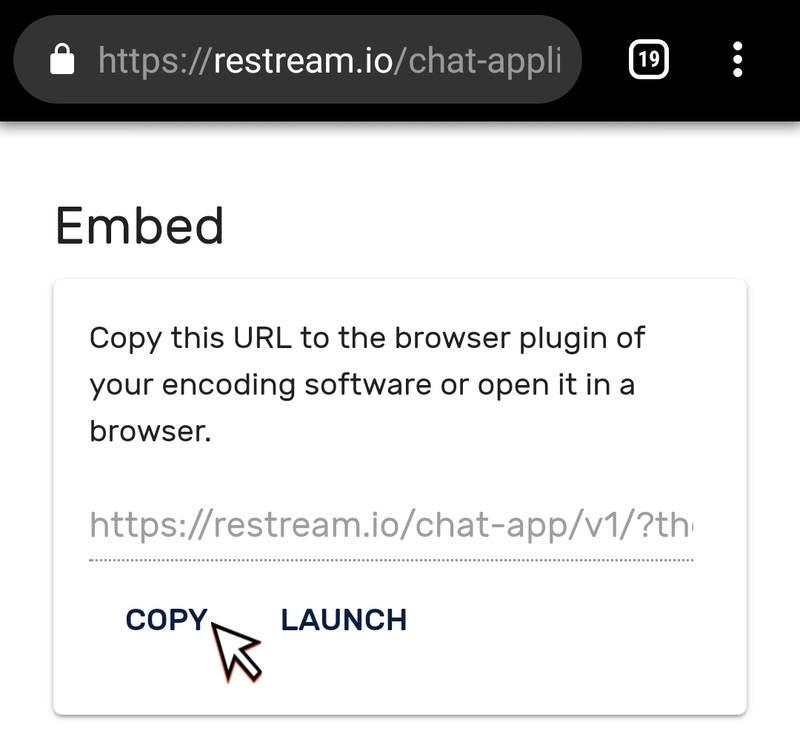 5.Copy your Embed chat link at Restream. 6. 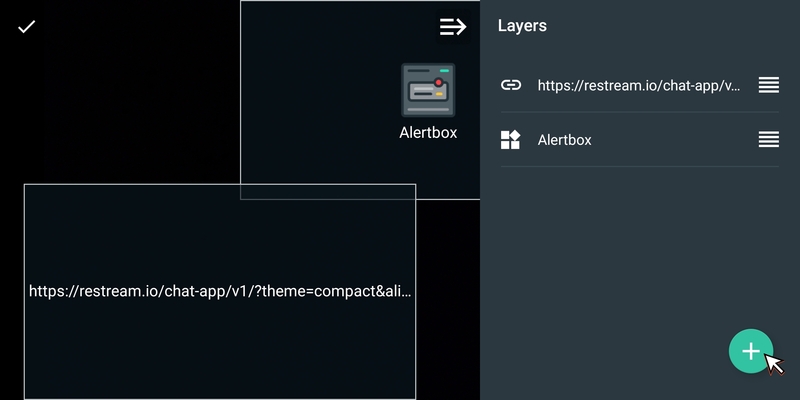 Paste the link in your widget and "ADD". 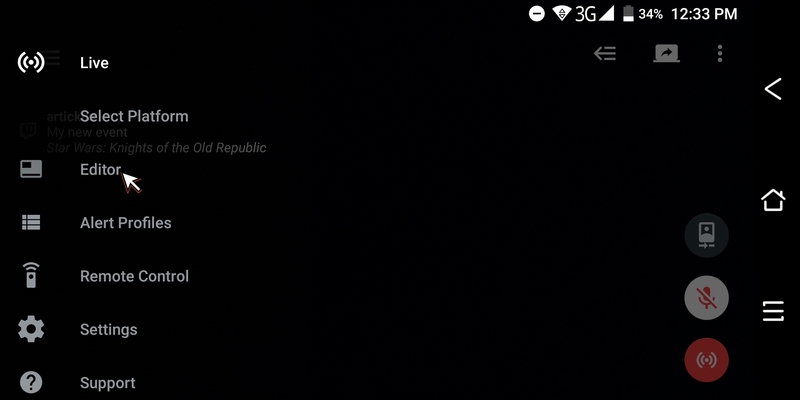 You are good to go with your chat overlay while you are streaming from you phone!